Optical Bevel Protractor is the development of the Vernier Bevel Protractor which has the ability to measure the angles up to 2 minutes. But in vernier Bevel protractor it is 5 minutes. In this article, we are going to discuss the Construction and the working principle of the Optical Bevel Protractor. Yes, there are few Vernier Bevel Protractors those have the least count of 2.5 minutes. But Optical Bevel Protractor can go beyond these least counts. Since Optical Bevel Protractor is the development of the vernier calliper, it will have the same construction with the addition of the optical magnifying system called Eyepiece. 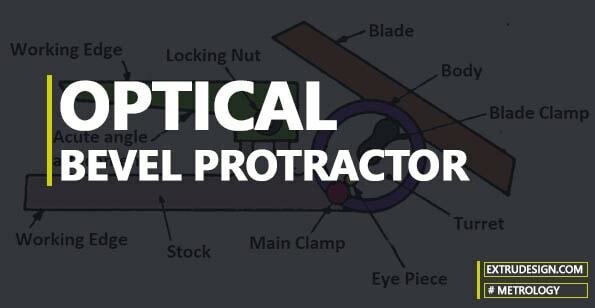 Optical Bevel protractor consists of the following components. 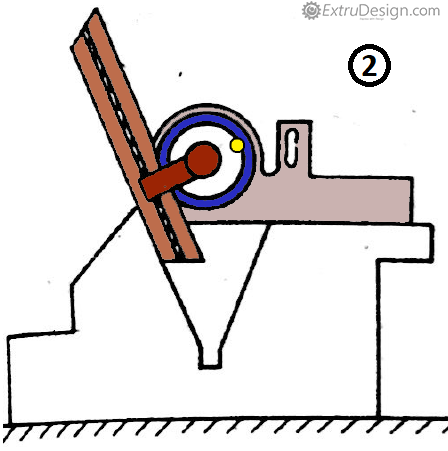 A circular plate having a vernier scale in it, also mounted on the Main body frame. 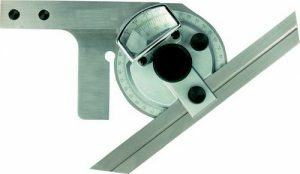 (The divisions on the vernier scale in the optical bevel protractor are very close than The divisions on the vernier scale in the Vernier bevel protractor. There is an Optical Magnifying system(EyePiece) which helps to read the reading on the vernier scale in a more efficient way. 1. As the Base Plate (Stock) acts as one of the working edges, and the other working edge will be the blade which is held on the circular plate. as you can see the some of the sample positions of the OPtical bevel protractor in action. 12. With these values along with the least count of the optical Bevel Protractor, we can calculate the Reading. All the way we have discussed the Construction of optical Bevel Protractor, and its working principle, and taking an angular measurement with the optical Bevel Protractor. Let us know your thoughts in the comments section below if we have to cover anything in here!